For the fritters, combine the cake flour and cornflour in a medium bowl. Add the soda water, herbs and seasoning and gently combine the mixture using a fork – some lumps should remain. Heat the oil in a medium saucepan until hot. Just before deep-frying, dip each piece of tomato into the batter and fry in batches until golden brown, 1 – 2 minutes. Drain on paper towel. For the tzatziki, combine all of the ingredients and season well to taste. 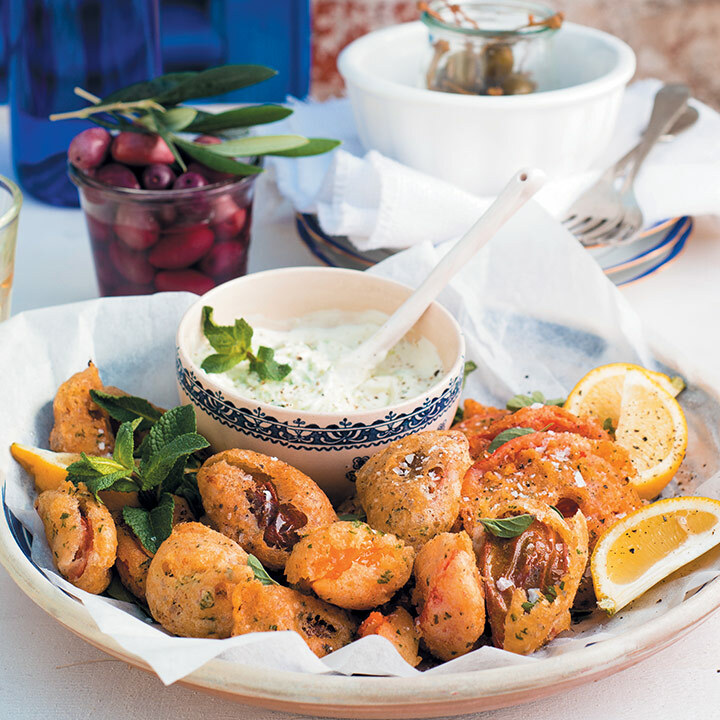 Serve the fritters garnished with fresh herbs. Add a side of tzatziki for dipping and lemon wedges for squeezing.